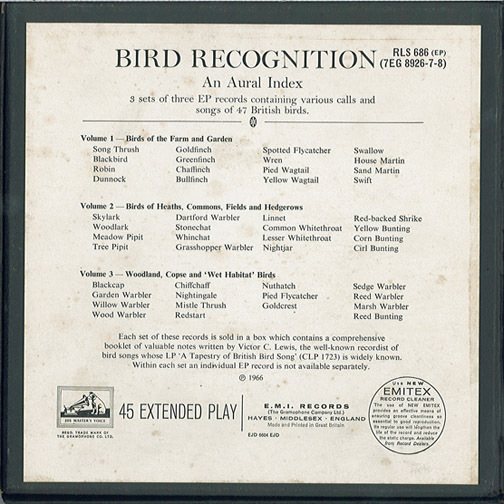 Addicted to Bird Sound recordings #1. 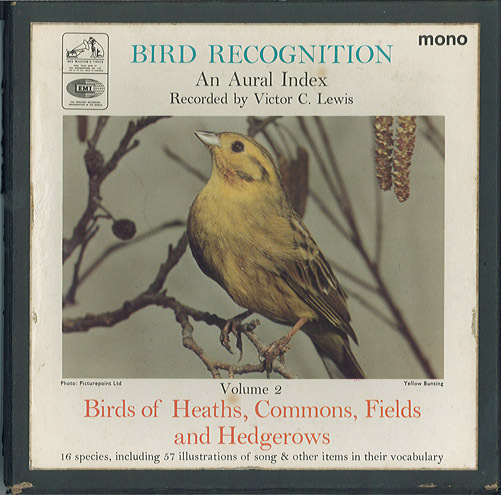 Bird Recognition – An Aural Index (Victor C. Lewis). 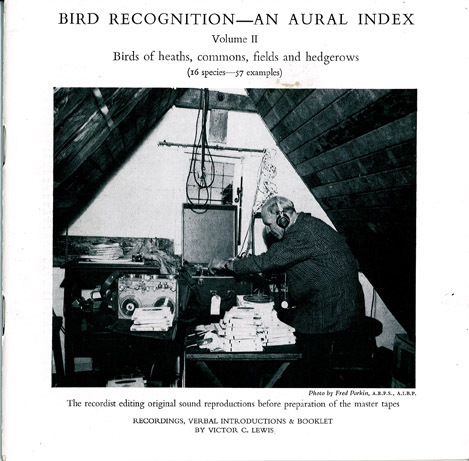 Split over three 7 inchers is a detailed analysis of some 47 species of bird and 187 individual recordings covering a very-wide range of chirping emotions (we got the lot here – alarm, flight, song, sub-song, mating, roosting, feeding etc etc). Victor C Lewis has left a stonker of an archive of recordings spread over numerous musty slabs of plastic – that I am slowly hunting down – this box cost me 50 pence – bargin or what !! Anyway – here is the recordist in his studio – NICE ! !